John Croydon is writing a series easy-to-read articles on the Racing Rules. The first on the basic port - starboard rule can be read by clicking on 'Read More' at the bottom of this paragraph. It is also published in the Forum section under 'Sailing' - 'Racing at WSC'. In this section you can have your say on the article - congratulate John or get controversial. That is what a Forum is for. Thank you to John for having this idea. Keep an eye out for future Racing Rules in the Forum section in future weeks. START OF SEASON PARTY Saturday 28th APRIL 2007 'It's a Swing Thing' - swing duo. 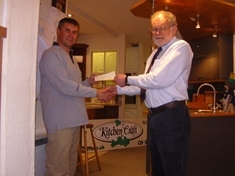 Photograph shows WSC Cadet Organser, Phil Samways receiving a cheque from Brian Cookson of Kitchen Craft, one of the initial three local industry sponsors who have made available the funds to purchase RS Feva dinghies for the YoBs, as part of the Club drive to improve facilities for our Youth Section. The YoBs have also been pleased to hear that their application for a grant towards the acquisition of that fleet of brand new training dinghies has been approved by Sportsmatch, the national agency responsible for allocation of funds to youth groups seeking to improve their capabilities. 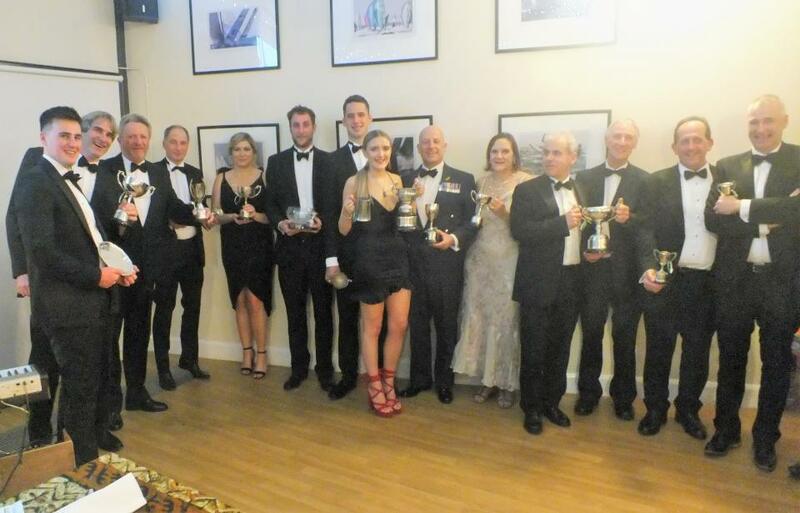 The commercial support offered by Sportsmatch is given as a result of them matching, pound for pound, the support of the three local businesses who have each committed to purchasing one dinghy each, Kitchen Craft (above), Portwey Letting and Universal Engineering. The fleet is now on order and will be delivered to allow use in the forthcoming season. More information on Sportsmatch, more local companies and groups supporting the initiative and the activities arranged by YoBs when we see the boats on and of the water at the Club Open Day in May. An exceptionally low tide on Tuesday 20 March 2007 created a beach in front of the Clubhouse. 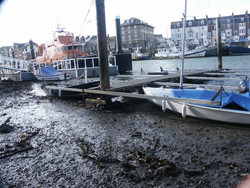 Steve Dadd took these photos of the lowest tide this year at only 0.03 metre above chart datum. See next page for photo of the slipway. Over seventy cruiser class members filled the Club for their annual dinner, on Saturday 10 March, with tables decorated with red and yellow tulips topped with a black twizzle. Diners sat down to a duck and lamb feast. WSC hosted a very successful Cocktail party on Saturday 3 March. 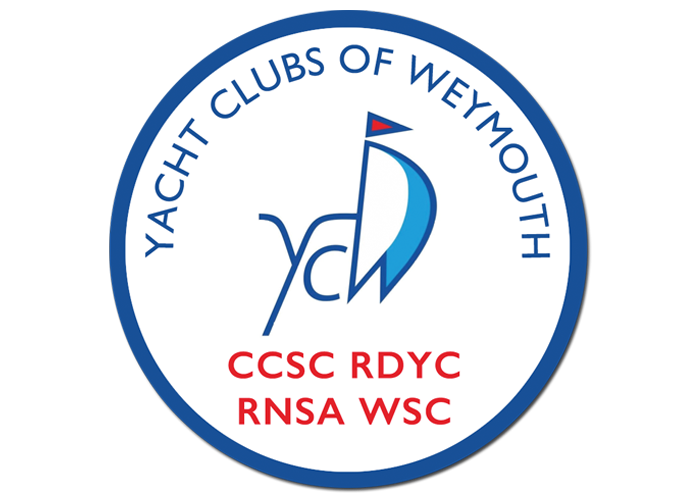 Representatives from other sailing clubs, marine agencies, the local authority, business associates and neighbours were welcomed by WSC Club members. Commodore Melita Biggs presented a cheque for £1,000 to the RNLI. 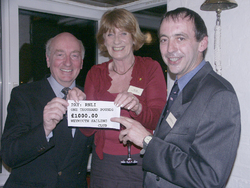 The cheque was received by Weymouth Lifeboat Chairman John Harvey and Coxswain Andrew Sergeant. Melita outlined the Club's 2007 programme and thanked all the sponsors who had given money towards the YOBs dinghy programme. All members are invited and encouraged to attend an evening presentation and workshop on the Racing Rules of Sailing by John Croydon. You may have noticed in the 2007 Handbook that Section 3 - ‘Sailing Instructions’ - has changed significantly and this will be covered too. Bring along your own rule book, your handbook plus pen and paper – oh, and your wallet as the Bar will be open! 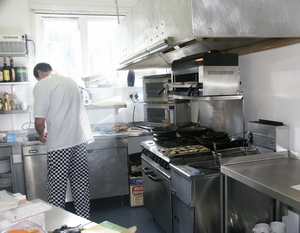 Chef David Stevens working in the newly refurbished galley which is now open again for food, as listed in the Winter Programme. Many thanks to all the members who worked hard to get the work done in just a few weeks, and have provided the galley staff with more space and new cooking and refrigeration equipment. Because of refurbishment work in the Galley, the date of the Cocktail party has been changed to Saturday 3 March. 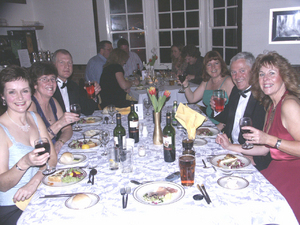 Confirmation of Class Dinner dates: Cruiser Class 10 March, the Squib Class 24 March and Dinghy Class 7 April 2007. A full amended winter programme is being published and will be posted with the Handbooks. The Club has been given two new trophies for 2007 season. Pam Mort and her family have donated a silver tankard in memory of Neville, which will become a Squib fleet trophy. 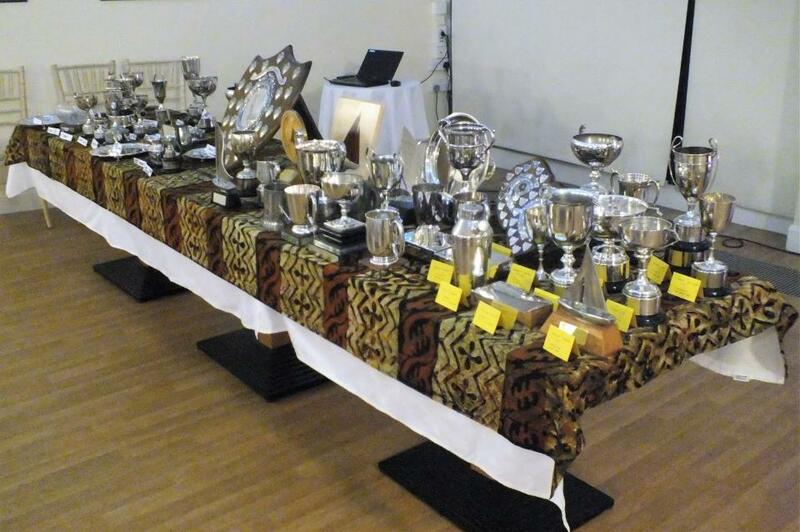 The daughters of David 'Inky' Pitcher have donated a silver trophy which will be awarded to a Cadet each season. 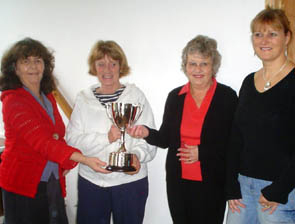 Commodore Melita Biggs received the Cadet trophy on behalf of the Club from Davidina Annetts and Rachel Hewitt.